High internet penetration and expansion in the E-commerce sector has made it easier for customers to shop online which has further strengthened the demand for express logistics in Kuwait. Rising Demand of Express Delivery Goods: Express Logistics shipments have increased positively with the rise in demand for express delivery of goods (clothes, fashion apparels, FMCG products) among consumers within the country. Expanding FMCG sector, retail sector, food and E-commerce industry has attributed towards the growth of express logistics in Kuwait. Express logistics companies are specialized firms in the logistics chain and can be classified into road express and air express. 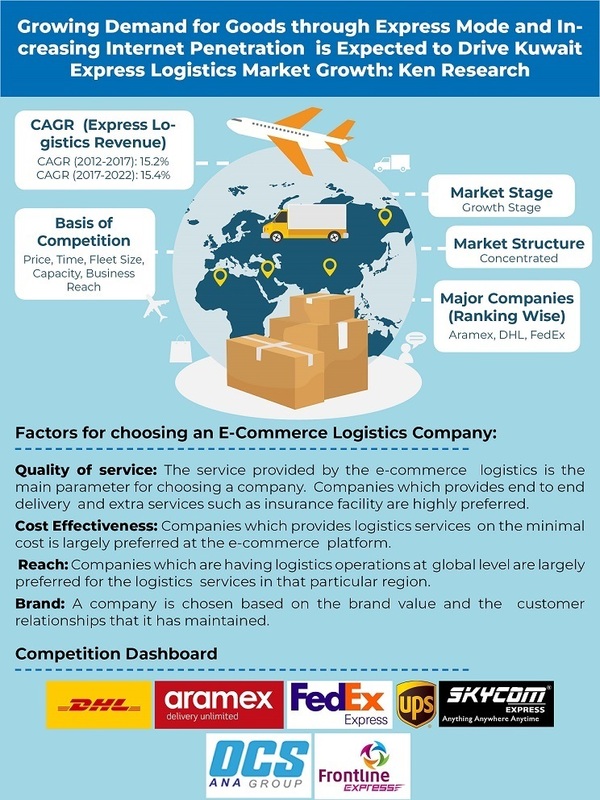 Some of the major players operating in express logistics include Aramex, DHL, FedEx and others. Surge in E-Commerce Operations: In Kuwait, surge in e-commerce operations, introduction of new web technologies and last mile logistics has gained popularity in the country. It has led several e-commerce companies to think, strategize and invest on their logistics operations in order to surpass their competition. In Kuwait, majority of the e-commerce firms have shifted their focus towards timely, reliable and a safe delivery of products, thereby making it an integral part of their system for acquiring more number of customers. Furthermore, it has been observed that E-commerce companies as well as the domestic express delivery companies have been offering these services as in Kuwait customers are increasingly demanding for faster deliveries of goods and are willing to pay extra price for quicker deliveries such as delivery within five hours. 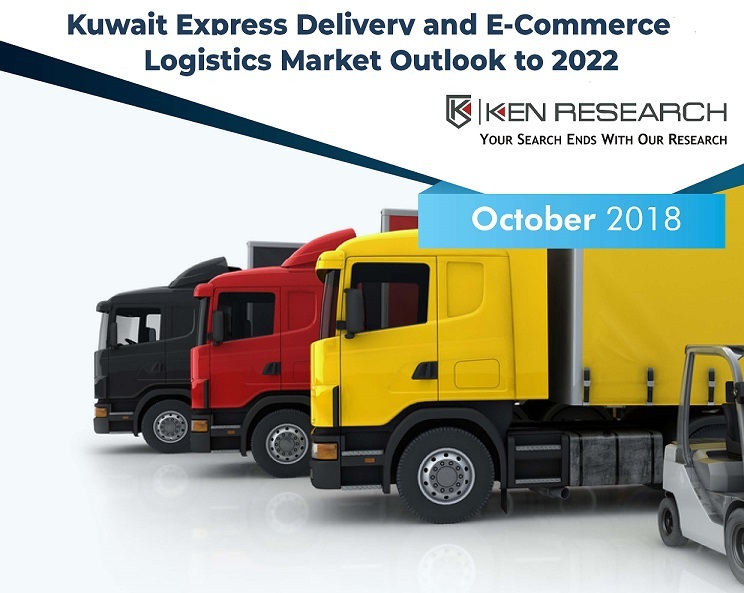 The report titled “Kuwait Express Delivery and E-Commerce Logistics Market Outlook to 2022 – By Air Express and Road Express, By International Express and Domestic Express, By Business Mode (B2B, B2C and C2C), By E-Commerce Merchants and 3PL Companies, By Same Day delivery Beyond Five Hours, Delivery Within Five Hours and Others” by Ken Research suggested a positive CAGR of 15.4% in Kuwait Express Logistics market and a robust CAGR of 21.1% in the Kuwait E-commerce logistics market in terms of revenue in the 5 years till the year ending 2022. Express logistics players are adopting modern technologies such as ERP, electronic data interchange, customs & accounting software to have a competitive edge. There has been a price war between the express logistics players as the delivery fee have increased due to rising demand of express logistics which led to rise in price of logistic service.